Water borne disease is responsible for millions of deaths worldwide every year. Within both developed and developing countries the demand for clean drinking and bathing water is ever increasing and the control of water borne disease is therefore of extreme importance. 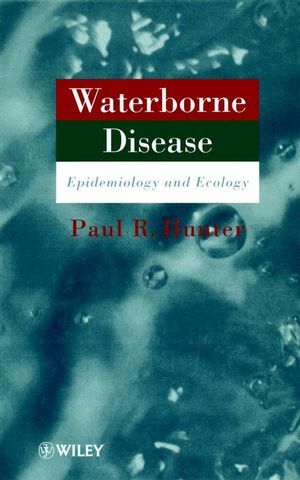 The book first addresses the magnitude of the problem, with subsequent chapters on specific diseases including Crytosporidiosis, Schistosomiasis, legionellosis and viral gastrointeritis. Concluding chapters discuss practical control issues such as basic water treatment and the problems of water borne disease control in less developed countries. Paul R. Hunter is Professor of Health Protection at the School of Medicine, Health Policy and Practice, University of East Anglia, Norwich, U.K. He is the former director of the Chester Public Health Laboratory in the UK.